"Well, you do have a time of it trying to make Bliss and Harper trot in harness together! ... When you get done you can advertise as an expert who knows how to handle publishers. There's millions in it -- perhaps." was an oil industrialist whose business acumen and negotiating skills paved the way for uniform editions of Mark Twain's works. Henry Rogers was one of the most powerful and ruthless financiers in America when he embraced Samuel Clemens and brought him into his inner circle. He was a self-made man who had begun his career in the oil fields of Pennsylvania and later helped found Standard Oil in 1874 with John Rockefeller. Rogers, with assets valued at $100 million, felt a genuine regard for Clemens and demonstrated a determined willingness to guide Clemens back to financial stability at a time when financing the Paige typesetter invention was draining Clemens's assets. The first time Clemens met Henry Rogers has yet to be determined. Clemens was fond of recalling that they first met in September 1893 when he was in New York staying with Dr. Clarence C. Rice. Rice was aware that Rogers was an admirer of Mark Twain's works and agreed to arrange a meeting between the two men. However, the September 1893 meeting may not have been their first encounter. That month Clemens wrote his daughter Clara that he had first met Rogers two years earlier on a yacht. One of Rogers's first moves to assist Clemens and his struggling Webster and Company publishing house was to arrange the sale of Library of American Literature to his son-in-law William Evarts Benjamin for $50,000. Benjamin, who was married to Rogers's oldest daughter Anne Engle Rogers, was a likely family candidate to take over Library of American Literature. He was the son of editor Park Benjamin and had a background in publishing, having been employed by both John Wiley and Sons and Dodd, Mead and Company prior to entering the rare book and autograph business with his brother Walter Romeyn Benjamin. With Rogers's backing, Benjamin would have no problem underwriting that expensive publication project that had become an albatross for Webster and Company. I never laid Websterco's disastrous condition before Mr. Rogers until to-night after billiards. I did hate to burden his good heart and over-worked head with it, but he took hold with avidity and said it was no burden to work for his friends, but a pleasure" (Leary, p. 22). How would this scheme do? Benjamin, Bliss and Clemens to join teams on the Uniform Edition on the basis of a third of the profits to each; Benjamin to furnish the capital and Bliss to do the work" (Leary, p. 40-1). Clemens returned to New York a month later. Webster and Company declared bankruptcy on April 18, 1894. It was the same day the company published their last Mark Twain book Tom Sawyer Abroad. In a brilliant move to save Clemens's fortunes from his creditors, Rogers arranged to assign the copyrights for Mark Twain's works to Clemens's wife Olivia. "Livy," whose personal fortune had been lost in helping fund the Paige typesetter and propping up a failing Webster publishing company was considered the primary creditor for the company and entitled to retain control of Clemens's writings. The Clemens family spent most of the next seven years abroad as Rogers negotiated a maze of publishing contracts and other investments that would restore Clemens to financial stability. The correspondence between Rogers and Clemens over the ensuing years indicates Olivia Clemens also took an active interest in developing a uniform edition of her husband's works. The correspondence is filled with Clemens's own dreams, plans, hopes and schemes to make the uniform edition a reality. Clemens, who was involved in writing his next book which would be titled Personal Recollections of Joan of Arc wrote to Rogers in December 1894 that Joan "will make two full volumes of the proposed Uniform edition." Book length in a uniform set was a major consideration and longer books would have to be split into multiple volumes. On February 3, 1895 Clemens wrote to Rogers about his plan to lecture around the world, "I suppose I can hire myself out to Mrs. Clemens as a platform-reader ... I should expect the trip to help sell my uniform edition" (Leary, p. 126-27). One of the first legal moves toward achieving publication of a uniform edition was the contract Rogers negotiated between Olivia Clemens and Harper and Brothers publishers dated May 23, 1895 and delivered to Harper on July 26, 1895. Harper acquired the rights to Mark Twain books formerly published by Webster and Company as well as those originally published by James R. Osgood. These titles included Adventures of Huckleberry Finn, A Connecticut Yankee in King Arthur's Court, Tom Sawyer Abroad, The Prince and the Pauper, Life on the Mississippi, The Stolen White Elephant, and The American Claimant. However, the contract recognized that any uniform edition would not be complete without other titles of works currently claimed by the Bliss family and American Publishing Company. The contract specified that Pudd'nhead Wilson, Innocents Abroad, The Gilded Age, Roughing It, A Tramp Abroad, and Adventures of Tom Sawyer would be assigned to Harper "at the earliest possible date." No uniform edition edition of Mark Twain works would be complete without both Tom Sawyer and Huckleberry Finn under the same bindings. Harper began issuing Mark Twain's books in uniform binding in 1896 beginning with five books provided to them via their contract with Olivia Clemens. The following year, an advertisement in the book review section of The New York Times on April 10, 1897 announced six titles, with American Claimant being the latest edition. Harper advertisement from the book review section of The New York Times, April 10, 1897. American Publishing Company, however, was interested in publishing a uniform set of Mark Twain's works by subscription. In addition, American Publishing Company wanted the rights to continue to add new works that Twain might write to their own uniform set. In further rounds of negotiations conducted by Henry Rogers over the next several years, Harper and Brothers and American Publishing Company arrived at a solution wherein American Publishing Company could publish the Harper titles in their uniform edition and sell them in sets only by subscription. Harper and Brothers would receive 8% royalties on titles they owned that were included in the American Publishing Company sets. Harper and Brothers were also experiencing their own financial difficulties. In late November 1896 through August 1899 they incurred a heavy debt from the J. P. Morgan company to keep their publishing company afloat. Business competition between the Harper and American Publishing Company continued and often led to conflict and threats of lawsuits for one contractual violation or another. It would be 1903 before Rogers was able to negotiate a final solution giving complete control of all of Mark Twain's works to Harper and Brothers. The Harper and Brothers uniform publication of some of Mark Twain's older books offered reviewers another chance to comment on the works. As to be expected, Harper's magazines focused on the latest uniform editions. In the February 13, 1897 edition of Harper's Weekly, William Dean Howells praised Huckleberry Finn in what some literary historians describe as Howells at his critical best. Laurence Hutton, in his column "Literary Notes" in the May 1897 issue of Harper's Monthly wrote, "the world is beginning, by degrees, to realize that Mark Twain is a good deal more than a humorist." The previous month, Charles Miner Thompson in the April 1897 issue of Atlantic Monthly wrote regarding Mark Twain, "almost the only fact which looks like a recognition of him as a real author, and not as an inconsequential buffoon, is the publication, now going forward, by Messrs. Harper and Brothers, of a uniform edition of his complete works." It has been a long and stupendous fight to bring the public mind to the fact that this Company was to publish the Uniform set. The Harpers so advertised their books that it was almost impossible to eradicate the idea that their books were not the complete works. We think, now, however, that we have established our point" (Leary, p. 347). American Publishing Company was soon to embark on their biggest Mark Twain undertaking in their company's history. Hutton, Laurence. "Literary Notes," Harper's New Monthly Magazine, Vol. 94, May 1897, p. 2. Online at Making of America website from Cornell University. Mac Donnell, Kevin. Personal correspondence, 15 December 2009. Mac Donnell, Kevin. Personal correspondence, 16 December 2009. Mac Donnell, Kevin. Personal correspondence, 21 February 2010. Raymond, Andrew Van Vranken. Union University: It's History, Influence, Characteristics and Equipment. Volume III. (Lewis Publishing, 1907). Online from Google books. Smith, Henry Nash and William M. Gibson, eds. Mark Twain-Howells Letters, Vol. II. (Belknap Press, 1960). 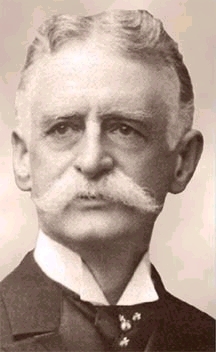 Thompson, Charles Miner. "Mark Twain as an Interpreter of American Character," Atlantic Monthly, Vol. 79, April 1897, p. 447. Online at Making of America website from Cornell University.